it’s official. We’ve partnered up with VEEM to give our clients a payment solution without bank fees and crappy foreign exchange rates. Why? Because $35 wire transfer fees is a thing of the past. 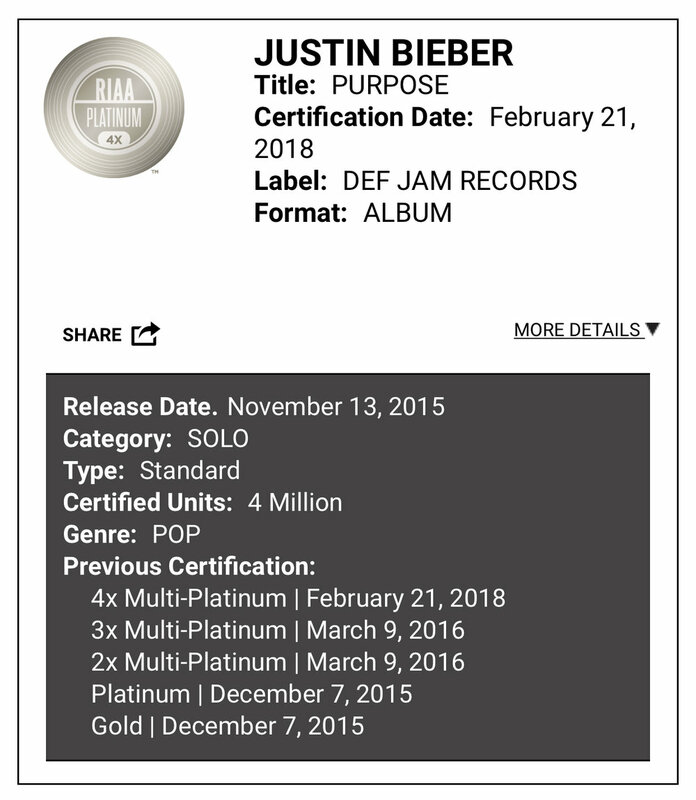 Justin Bieber's "Purpose" album certified 4 x Platinum in the U.S.
We congratulate our clients Axident, Gladius and Ron Moss on the success of this album, containing the single "Company" co-produced and co-written by Axident and Gladius! Great to see Axident and Ron today - we talked business and strategized for 2018. Honua Music is on the rise! Erik Steigen, CEO of USA Media Rights, participated as a speaker at the Digital Entertainment World Expo 2018 in Marina Del Rey, California on February 5, 2018. The topic was "THE EARNING REVOLUTION: DISRUPTING ROYALTIES IN MUSIC AND ENTERTAINMENT." The panelists, in addition to Erik Steigen, were Tyron Bennion, SVP of Global Sales, Hyperwallet, and Matt Burns, Co-Founder and General Counsel, INGrooves. The panel was moderated by Matt Coleman, CEO of Magnify World, who stepped up in Ted Cohen's absence at a moment's notice. The panel discussion focused on what's broken in the distribution of royalties, how to retain artists in the gig economy, and issues with incomplete and erroneous data. For more information about how Hyperwallet and USA Media Rights are changing the landscape of royalty payments, contact Erik Steigen. Our CEO Erik Steigen is speaking at the upcoming Digital Entertainment World Expo in Marina Del Rey, California. Don't miss it! 2017 is coming to a close, and we are thankful for our clients, business associates and friends who shared it with us. Here's to a great 2018! Hyperwallet, a leading global payouts provider to millions of independent workers, today revealed its partnership with USA Media Rights, a music and media rights company providing a broad range of music business services. Through this strategic alliance, USA Media Rights will continue to connect Hyperwallet with music industry organizations to improve the processing and delivery of royalty payments for recording artists, music producers, and songwriters worldwide. Utilizing Hyperwallet’s global payout network, music organizations are expected to substantially reduce the frustrations that come with cross-border royalty payments, where payees have traditionally been subjected to high foreign exchange fees and lengthy delays. Hyperwallet will enable international artists to quickly receive their royalties in their local currency, in addition to providing a range of diverse payout options and a self-serve online earnings portal. Hyperwallet’s payout platform provides growing organizations with a frictionless, transparent, and reliable way to manage payments and enhance the payee’s experience anywhere in the world. Trusted by enterprise, ecommerce, and on-demand platforms, Hyperwallet makes it easy to pay up to 7 billion people in a singular payment environment. Put your payees in control with enhanced financial management tools, integrated payment tracking technology, and user-friendly compliance and identity verification. Hyperwallet has offices in San Francisco, Austin, and Vancouver. You can learn more at http://hyperwallet.com. USA Media Rights is a music and media rights company established by Erik Steigen in 2012 and built on over 20 years of music business experience. Clients and partners include songwriters, recording artists, music producers, publishers, record labels, talent managers and other service companies. For more, visit http://www.USAmediarights.com. As anyone who’s ever started a company should know, there isn’t a simplistic formula for success in entrepreneurship. Whether you are part of a founding team or running your business solo, building your business from the ground up comes with diverse risks and roadblocks. On a daily basis, startup founders confront issues internally, from building the product to developing the business strategy and, externally, when dealing with factors such as shifts in consumer behavior and economic and market decline. Startups require strong leaders that can mobilize teams to move fast, and with purpose. Given the grueling hours and sacrifices often needed to work at a startup, seek team leaders who can inspire teams in tough times by championing the mission and meaningful contributions of the company. Leaders should be able to intuitively lead with purpose and establish cohesive units that are equipped to troubleshoot and withstand any setback. A leader’s ability to draw the course and drive the team in the right direction is critical in achieving success for the company. Articulate your product roadmap, as well as your short-term and long-term goals for the company and each individual. Show why problems need to be addressed and paint a picture of why your solution matters to the world. A strong entrepreneurial team should be able to visualize the problem it is solving and communicate it in a way that their audience can quickly understand. The enterprise should benefit from the collective wisdom and experience of the community. A highly valued but underused skill is knowing when and how to listen. As your team members are at the frontline of each task, you must know when to accede to their views and perspectives. In addressing an issue at hand, take advice from key parties and then analyze and incorporate recommended strategies as needed. Excellent managers focus on developing their team’s unique strengths and taking advantage of what they already do well. As you deliver your business plan, know the limitations of your talent pool and effectively manage your scarce resources. With data and experience, regularly review your activities and team to oversee that they are on track, on time and on budget, but don’t be afraid to take charge when you need to scale up resources. It will be difficult to attract the best talent if they cannot grasp what their future looks like as an employee of your company. Communicate benefits and opportunities for professional growth to every current and potential employee. If employees are unclear about what’s at stake as a member of your team, chances are, they won’t hesitate to walk away. Employees must find themselves so heavily involved in the success (or failure) of the business that they would invest their own resources or take a significant pay cut in exchange for equity. It is with great excitement USA Media Rights is launching its stand-alone business management website! We hope you enjoy it and that you will consider us.